This Elemeno P video sees the band performing inside a storage freezer in an ice cream factory. "There was no legitimate reason for shooting in a freezer," recalls director Greg Page ('Exit to the City', 'Super Gyration'). "I just enjoy torturing the bands I work with." The location was secured through Flying Fish Executive Producer James Moore, whose family owned an icecream factory in Otara. Page recalls the challenges of filming in below freezing temperatures here. Hip-hop DJ and producer P-Money moves to the dance floor with this pumping, chart topper which marks the recording debut of Australian X Factor finalist Vince Harder. In Rebecca Gin’s quirky video, P Money has a whirlwind romance which starts in a supermarket and ends in tears in a club (with a sharp contrast between the white of daytime and the blacks of the night scenes) but the “shoulder friends” are the attention grabbers here. They represent the music that people carry around with them (or, at least, until they venture down one dark alley too many). 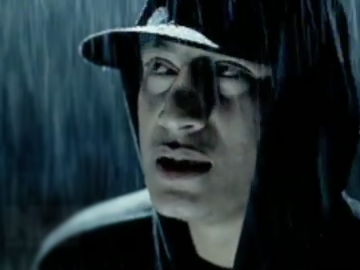 Clever lighting and plenty of rain feature on the video for this chart-topping P-Money track. 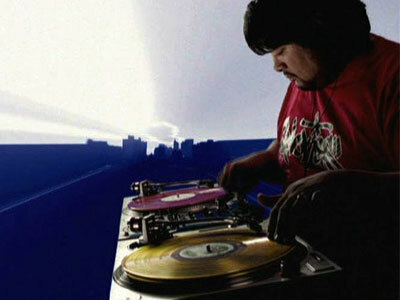 As he had with Scribe's breakthrough hit 'Stand Up', P-Money melds Scribe's rapping talents with loud guitars. 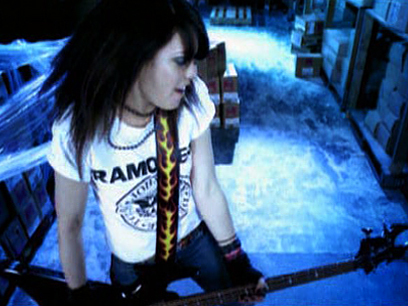 Directed by Greg Page, the moody widescreen clip also features Elemeno P's Justyn Pilbrow on guitar, and Sam Sheppard from 8 Foot Sativa on drums. 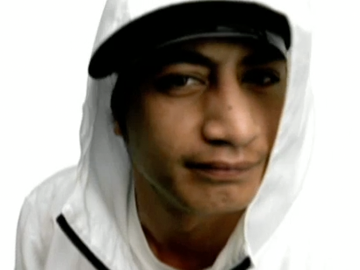 'Stop the Music' appeared on P-Money's second studio album, NZ Music Award-winner Magic City (2004). While many bands might feature flash cars and scantily clad groupies, a lone cargo shorts-wearing skateboarder provides all the spectacle required in this Salmonella Dub video. 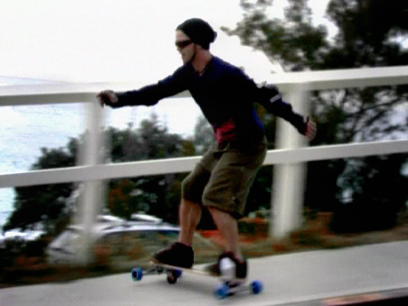 Fortuitous sponsorship from a company that specialises in sliding skateboards gave rise to this skate-themed music video. 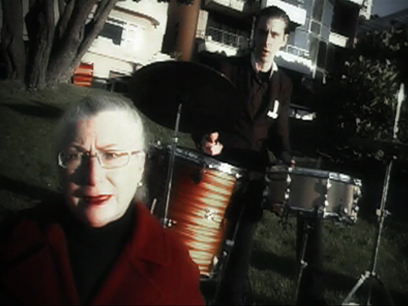 Shot while on tour in Sydney, further colour is provided by laidback gig footage highlighting drummer and vocalist David Deakins, as he groves through this ode to the passing of time. 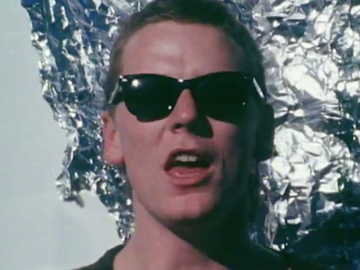 The set has a back-drop curtain made out of milk bottle top foil; the band are wearing plastic rubbish sacks fashioned into tunics, and have painted faces. The props include a disco mirror ball, a toilet seat sculpture, a giant bug, and umbrellas. It's all slightly off-beam, but the band's performance is deadpan sweet. There’s the requisite Flying Nun film scratching, and some literal-but-amusing image and lyric matching. It all combines to make a DIY delight, an effortless two decades before Flight of the Conchords or Mighty Boosh. A drummer plays in four locations and keeps playing as he moves; and, at each, a woman is at a different stage of her life. The Booyeouw Shamble was shot in Wellington by director Sam Buys and DOP David Paul in one continuous 54 minute take. Drummer P-Hill had to follow a score taped to his snare; and each hit had to be in the correct sequence for the entire 54 minutes. In editing the footage was sped up or slowed in at least 1000 places to get the drum hits in time with the music. There were no rehearsals and there was time for only one take. 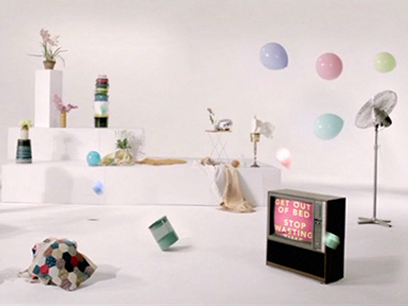 Directed by Chris Knox, this performance-based video features assorted strange props including a doll, a mannequin and half a pig's head. The song title is Caroline's Dream, and the video has a dreamlike quality, or should that be nightmare? And what is Chris Matthews doing writhing about on stage with his pants undone?